Changes to the speed limit on the South Eastern Freeway have begun along with other new road rules. 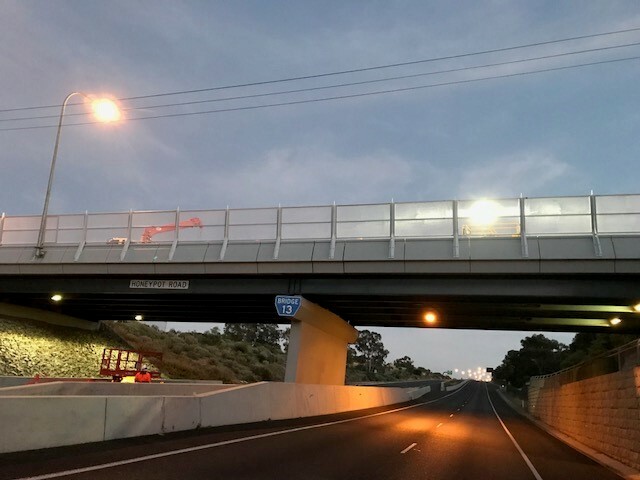 The maximum speed limit for light vehicles between the Stirling interchange and the lower arrester bed has been reduced from 100 km/h to 90 km/h on the 'downtrack' of the Freeway. The maximum speed limit for all trucks and buses from the Crafers Interchange until the bottom of the freeway will be 60 km/h irrespective of the number of axles. Trucks and buses will be required to move into and use the left lane only from the Crafers Interchange to the Measdays turnoff and the requirement to use a low gear is still in force. Another new law that started on 1 September 2014 is the requirement for road users to travel at 25 kilometres per hour past emergency roadside incidents. - between two sets of flashing blue or red lights that have been placed by an emergency worker at either end of a length of road on which an emergency vehicle has stopped. - CLARIFY: Rule 128A – To make it clear that drivers may stop on a children’s crossing or a pedestrian crossing if necessary because the crossing or the road beyond the crossing becomes blocked. - CLARIFY: Rules 134 and 138 – A driver may cross a single continuous dividing line to park in angle parking on the opposite side of the road, provided that the driver does not need to perform a U-turn to reach the parking area. This includes crossing a painted island surrounded by a single continuous line. - CLARIFY: Rule 153(4) – Bike lane road markings (not only signs) can be used to commence or end a bicycle lane (comprising both a white painted bicycle symbol and the words “lane” or “end lane” as appropriate). - NEW: Rule 197 – Drivers are prohibited from stopping/parking on a traffic island (for example, in the centre of a roundabout). The expiation fee for stopping on a traffic island is $87. - NEW: Rules 265(4) and 266(5B) – Passengers under one year old can sit on the lap of another passenger who is 16 years old or older when travelling in a bus, taxi or tow truck where no appropriate child restraint is available for use and they are not in the front row of seats. - CLARIFY: Rule 266(2B) – When a booster seat is used it must be used with either a lap and sash type of approved seatbelt or an approved child safety harness. - NEW: Rules 265(5) and 266(5C) – Drivers of correctional vehicles are exempt from the requirement to ensure that passengers in rear seating rows or a caged area are wearing seatbelts. - CLARIFY: Rule 271 –To allow a motor bike rider to remove his/her feet from the footrests to manoeuvre the vehicle, such as reversing the bike into a parking space, or when the motor bike (at low speed <10km/h) is decelerating to come to a rest, or accelerating from a rest. The Government will also fulfil an election commitment with people aged 70 years or older, who have a car licence and do not currently have a medical condition recorded, no longer required to visit a medical practitioner each year to assess their fitness to drive.